Lieutenent General Henry NAMPHY, former Haitian army general and ex President of Haiti, will be buried Sunday, 01 July 2018, at the Cristo Redentor cemetery in Santo Domingo, Dominican Republic at 4:00pm. Viewing of the remains of General Henry Namphy will be held Saturday at the Blandino funeral home (Funeraria Blandino), Av. Abraham Lincoln, Santo Domingo, Dominican Republic. General Namphy who has been living in Jarabacoa, is a town in La Vega Province, Dominican Republic, since he left Haiti died Tuesday, June 26 after a long battle with cancer. 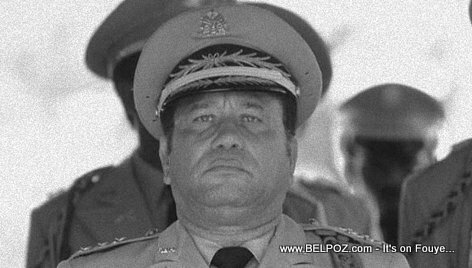 There were debates on whether or not the former Commander-in-chief of the Armed Forces and ex president of Haiti should be buried in Haiti or on foreign soil. We believe it was his wish to be buried outside of Haiti, a wish his family carried out.